Just before the 2017 Cyclocross World Championships, Cyclocross Magazine‘s contributor Hannah Caproon attended the 2017 Winter Press Camp to check out new gear from two dozen brands that might be of interest to our cyclocross and gravel-riding audience. Kenda showed its brand new high performance Valkyrie road tire as well as its Flintridge gravel tire, which now will have new width, diameter and casing options. Kenda Tire showed off the new Valkyrie road tire, which launched after three years of research and development. It could be a fitting name for a tire that prioritizes speed and weight over knobs. Aimed at the road crowd, it doesn’t offer tread to keep you from sliding out in a gravel corner off a cliff, but it does off puncture protection should you seek out some alternatives to pavement. 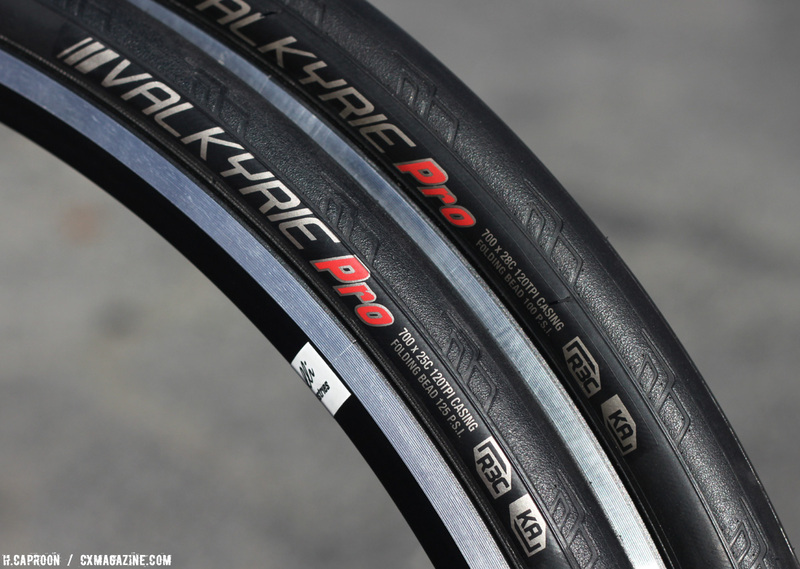 The Valkyrie is heralded by the company as an equivalent to other industry-leading options in rolling resistance (within one to two watts), weight, and puncture protection. While it may not be the ideal tire for cyclocross, the widest width, 30c, could be a good option for smooth dirt and gravel roads. 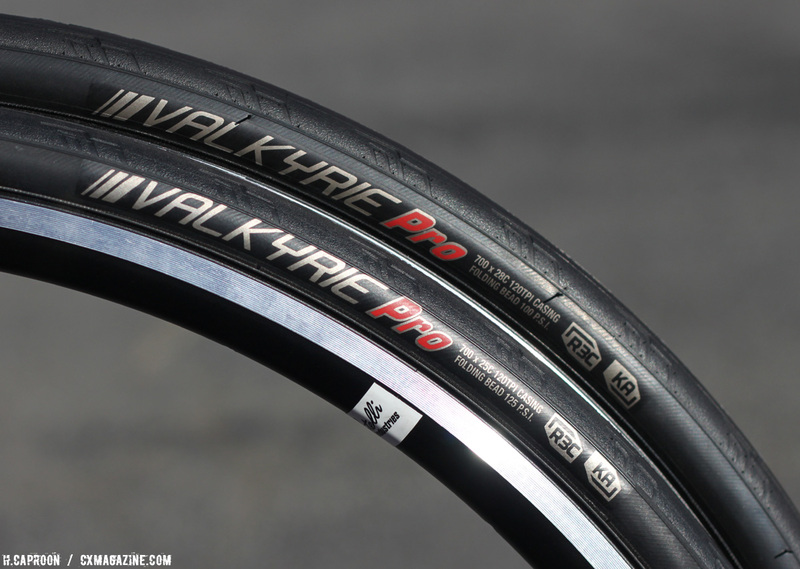 The Valkyrie features a new profile shape, R3C rubber compound, and K-Armor, a material exclusive to Kenda that gives improved puncture resistance. The K-Armor casing technology has a tighter weave than typical protective belts, and is made of a material that adheres to rubber 2.5 times better than Kevlar, according to Ben Anderson, Director of Sales, Marketing, and Product Development. If you don’t need a bunch of tread for your dirt road or mixed terrain options, the K-Armor casing may help to keep you flat-free and rolling along without the rolling resistance of knobs. Stay tuned as we hope to get rowdy on a pair of the 30c tires. Also on display at Press Camp was Kenda’s Flintridge tire, which will soon be available in a 45c width and 27.5 diameter sometime this year. The company’s top-selling gravel tire is also soon available in a lighter, tubeless single-ply version (TR – Tubeless Race), as well as the current thicker sealant-compatible version (SCT). 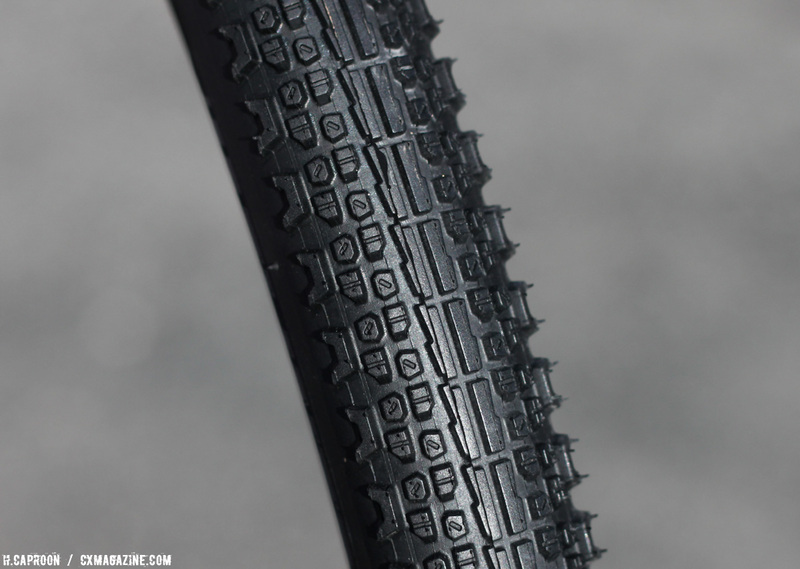 Want a knobby gravel tire for your 27.5/650b mountain bike, Van Dessel ADD or 3T Exploro? The 27.5 Flintridge joins a limited selection of smaller-than-700c gravel tires that includes the Sim Works Homage, SOMA Cazadero, and Bruce Gordon Rock ‘n Road. Anderson also noted that the “Kenda” logo will switch to include a RHP (reflective hot patch) material for improved visibility and safety, starting with the Valkyrie, but this change will quickly be adopted for the company’s other tire models, including the Flintridge. Cyclocross Magazine first spotted the Flintridge at last year’s NAHBS.